All Star Bash XI photos are up! Koyorad has partnered with the Just Drift organization throughout the 2010 and 2011 years. 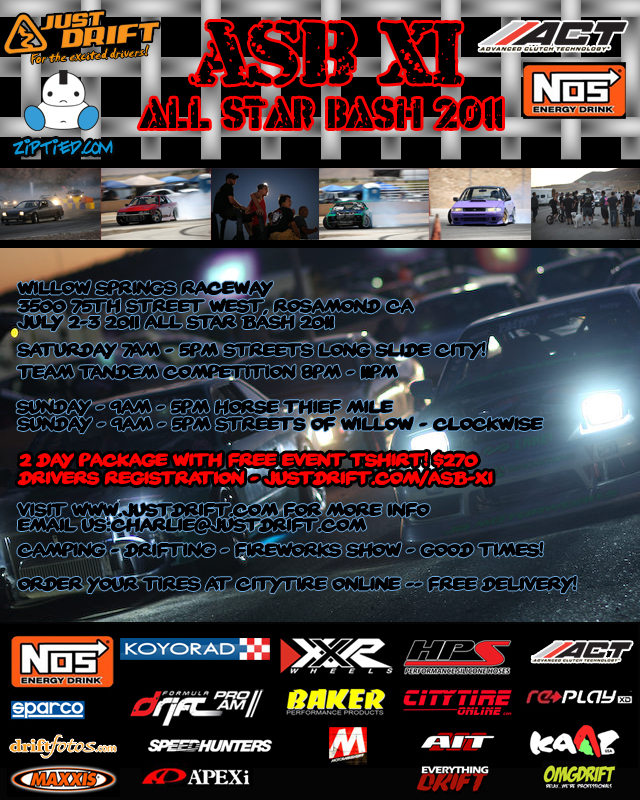 This past July 4th weekend, Koyorad attended Just Drift's All Star Bash XI held at the Streets of Willow course at Willow Springs Raceway. Click here for the photo gallery.